On a December afternoon, Frances Amy Richardson took a break from her quilting class to reflect on a groundbreaking experiment she took part in 40 years earlier. 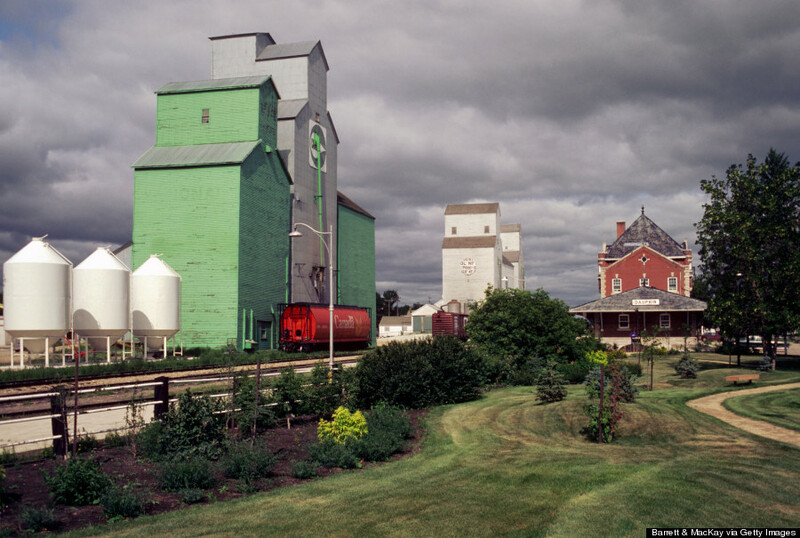 Between 1974 and 1979, residents of a small Manitoba city were selected to be subjects in a project that ensured basic annual incomes for everyone. For five years, monthly checks were delivered to the poorest residents of Dauphin, Manitoba –- no strings attached. And for five years, poverty was completely eliminated. The program was dubbed “Mincome” -- a neologism of “minimum income” -- and it was the first of its kind in North America. It stood out from similar American projects at the time because it didn’t shut out seniors and the disabled from qualification. The project’s original intent was to evaluate if giving checks to the working poor, enough to top-up their incomes to a living wage, would kill people’s motivation to work. It didn’t. But the Conservative government that took power provincially in 1977 -- and federally in 1979 -- had no interest in implementing the project more widely. Researchers were told to pack up the project’s records into 1,800 boxes and place them in storage. A final report was never released. Richardson is now 87 and still lives in Dauphin. She says only three or four of the city’s original Mincome recipients remain among the prairie community’s 8,251 residents. During the program’s heyday in the mid-1970s, Richardson was a mother of six – three of her children lived at home. To earn money, she ran a small salon out of her home called Fifth Avenue Beauty Chalet. Whatever cash she could make styling hair contributed one stream of the family’s income; her husband Gordon provided the other with his job at the local telephone company. Her ailing mother also lived in the house at the time. She remembers Mincome researchers visiting the home regularly to calculate how much money the family was qualified for. Mincome provided the Richardsons with financial predictability and a sense of stability. There was always food on the table. The bills were paid. The kids stayed in school. And when Gordon’s health took a turn for the worse mid-way through the pilot project, the family still made ends meet. “It was a lot of good, but see, the Manitoba government and the federal government both went out of power that year and they ran out of money – so it was just dropped,” Richardson said. 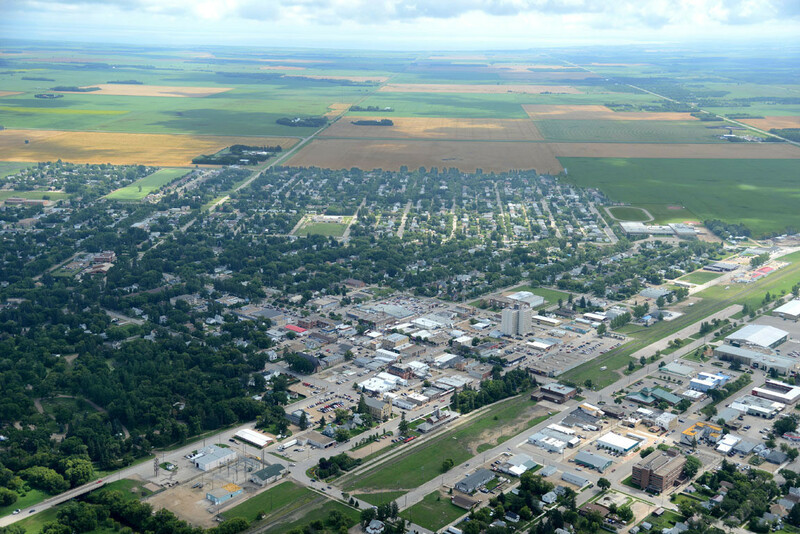 In five years, Mincome helped one thousand Dauphin families who fell below the poverty line earn a livable income. When the project ended, locals didn’t make a fuss because they knew the checks were temporary anyway. So in 1979, it was business as usual again. After Mincome folded, people tapped into their prairie work ethic and looked to make do however they could. The Richardson family went back to scraping by, the same way they had before the project began. The kids found jobs: one sold gas at the local garage, another landed entry-level work in insurance. Richardson continued to bake bread and can her own preserves at home. It’s a cash-saving skill born out of hard times some food bank-dependent families have lost today, she suggested. Why Dauphin? How did a farming community play host to such a landmark social assistance program? Good political timing didn’t hurt. In 1969, the left-leaning provincial NDP led by Edward Schreyer swept into power for the first time. The transition injected new rural sensitivities and democratic socialist influences into politics. On the federal level, Pierre Elliott Trudeau was prime minister. The two men worked swiftly to set up conditions for a basic income experiment. 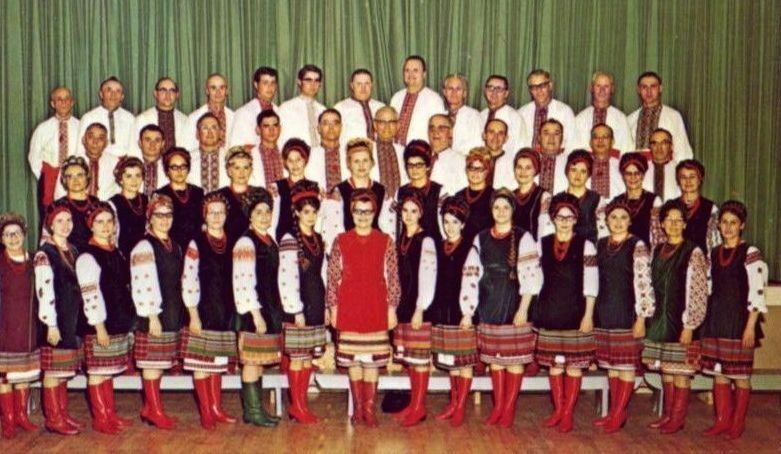 In 1973, Manitoba and the federal government signed a cost-sharing agreement: 75 per cent of the $17-million budget would be paid for by the feds; the rest by the province. The project rolled out the next year. All Dauphinites were automatically considered for benefits. One-third of residents qualified for Mincome checks. 1. Everyone was given the same base amount: 60 per cent of Statistics Canada’s low-income cut-off. The cut-off varied, depending on family size and where they lived. But in 1975, a single Canadian who was considered low-income earned $3,386 on average. Dr. Evelyn Forget is the researcher at University of Manitoba credited for tracking down those 1,800 dusty boxes of Mincome raw data that sat forgotten for 30 years. She first heard about the project in an undergraduate economics class at the University of Toronto in the ‘70s. Mincome checks were still being delivered when her professors praised the experiment as “really important,” saying it was going to “revolutionize” the delivery of social programs. It stuck with her. In 2005, she began looking for the Mincome data. After a strenuous search, she located the records at the provincial archives in Winnipeg. She was the first to look at them since they were packed up in 1979. “[Archivists] were in the process of wondering whether, in fact, they could throw them out because they took up a lot of space and nobody seemed interested in it,” said Forget. It didn’t take her long to realize the plethora of files could never be funneled into any sort of statistical analysis. There were questionnaires with circled answers. And data on one family could be scattered between countless boxes. It also didn’t help that there were no labels or index. Because of an ethics board policy, Forget couldn’t directly contact the people whose data she was now in possession of -- the participants had consented to speak to the original researchers only. Instead, she used a guest spot on a local radio station to invite Mincome recipients to call her. One woman called to say she remembered the Mincome project. In the early 1970s, she was a single mother raising two girls on welfare – then called Mothers’ Allowance. She said she had always been treated respectfully, but there was one thing case workers said that bothered her. “She said she wanted to get some job training. They told her to go home and take care of her kids and they would take care of her,” explained Forget. When the opportunity to transfer from Mothers’ Allowance to Mincome came along, the woman took it. With no restrictions on how she could spend the money she was given, she signed up for training and got a part-time job at the local library which eventually became a full-time career. “So when I talked to her, she was incredibly proud of having modelled a different kind of life for her daughters,” Forget said. The retired librarian invited Forget to visit her home. Inside, she was shown pictures from her two girls’ graduations, mother beaming with pride. In 2011, Forget released a paper distilling how Mincome affected people’s health using census data. She found overall hospitalization rates (for accidents, injuries, and mental health diagnoses) dropped in the group who received basic income supplements. By giving a community’s poorest residents enough to lift their incomes above the poverty line, there was a measurable impact on the health care system. It’s this kind of logic that Forget hopes will propel the idea of basic income forward, four decades later. “I’m enough of an optimist to believe that eventually we’re going to end up there. I think we already have part of the program in place,” said Forget, referring to existing supplements including the Guaranteed Income Supplement for seniors and the National Child Benefit. Two years before the Harper government shut down its operations, the National Council of Welfare released a damning report criticizing how welfare rules are trapping people in poverty. “Canada’s welfare system is a box with a tight lid. Those in need must essentially first become destitute before they qualify for temporary assistance,” said TD Bank’s former chief economist Don Drummond after the social agency’s report was released in 2010. Former Conservative senator Hugh Segal is a longtime proponent of a guaranteed annual income policy. He believes the program could save provinces millions in social assistance spending on programs like welfare. Instead of being forced through the welfare system, people’s eligibility would be assessed and reassessed with every income tax filing. Those who don’t make above the low-income cut-off in their area would be automatically topped up, similar to Mincome in Dauphin. But the idea never took off in Canada. The lessons of Mincome never spread. Simply put: The Mincome experiment discontinued because the governments changed. Segal says what happened in Dauphin was a “classic Ottawa initiative,” with a lot of money spent putting a program in place, but without adequate investment to evaluate if it was effective or not. Renewed energy in European campaigns for basic income have attracted more reporters and researchers to Dauphin. This summer, a Netherlands TV crew brought some excitement to town while on location to film a documentary about Mincome. “This started about a year ago with the press fooling around, starting to ask questions,” Irwin said. While the idea of basic income has gained traction in countries including Scotland, Switzerland, Namibia, Uganda, and India, others are skeptical. During his nine years in the Senate, Segal advocated strongly for basic income for Canadians. But in his time as a member of the Conservative caucus, he “didn’t see the tiniest indication of interest on the part of the government” in another test site or implementation. That’s because the current government shares the Mulroney administration view that “the best social policy is a job,” he said. The one exception was late finance minister Jim Flaherty who established the working income tax benefit to aid working Canadians living in poverty. He was the only one to engage constructively, Segal says. Segal said he doesn’t expect the concept to gain traction again among the Harper Conservatives. “I would think it’s fair to say ideologically, the present government would eye the notion that this is some ‘kooky left-wing scheme’ without addressing the fact that really strong social and economic conservatives like Milton Friedman argued in favour of a negative income tax,” he said. In Canada, the idea of an universal basic income was first presented at a Progressive Conservative policy convention in October of 1969. Then-leader Robert Stanfield argued the idea would consolidate overlapping security programs and reduce bureaucracy. But in the last two elections, Segal says poverty did not come up in television debates between party leaders once. It’s something he doesn’t want to see repeated. Yet he remains more optimistic in this decade than the last because of signs of interest from the federal Liberal and Green parties. “One begins to sense, not that the ice is breaking, but the currents underneath the ice are beginning to move more quickly,” he said.